31. 03. 2019 13:41 14 (33 - Evans Elfyn / Martin Scott): It's difficult to accept but okay, it happens. A similar thing maybe happened to Ott yesterday. It's the nature of the sport. I think it happened on a straight piece of road in the middle, a hole of piece or stone that had lifted. I felt it straightaway. Very unexpected. I tried to drive on it to see if we could minimise the time loss but it started to delaminate 6km before the end. At least we have the podium but it's not what I wanted. 31. 03. 2019 10:44 13 (33 - Evans Elfyn / Martin Scott): We had a good stage. I was pushing. Not perfect everywhere but it was okay. 30. 03. 2019 18:16 12 (33 - Evans Elfyn / Martin Scott): No idea. It felt like a good stage. No idea. All to play for but that's disappointing. 30. 03. 2019 17:05 11 (33 - Evans Elfyn / Martin Scott): That's unlucky for him. Our pace wasn't that great by the look of it anyway. It felt okay, I pushed quite hard but didn't find the rhythm in places. It's a shame for Ott. We still have to fight, there's not such a gap behind. Let's see. 30. 03. 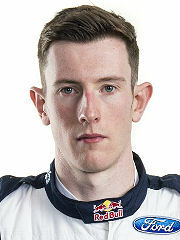 2019 15:22 10 (33 - Evans Elfyn / Martin Scott): A good run. No dramas. Trying to be as smooth as possible but still pushing. 30. 03. 2019 11:15 9 (33 - Evans Elfyn / Martin Scott): I didn't start the best. I touched something on the rear after a dirty cut early on and it altered the handling ever so slightly. No big deal but it didn't help. We pushed hard. Very difficult to read the grip. We did what we could. 30. 03. 2019 10:06 8 (33 - Evans Elfyn / Martin Scott): Not the perfect run, but not that bad either. You can really harm you tyres here, so we were neat and tidy, let's see. 30. 03. 2019 10:02 7 (33 - Evans Elfyn / Martin Scott): A good run but there were a few hesitations in a few areas - not as good as it could have been. 29. 03. 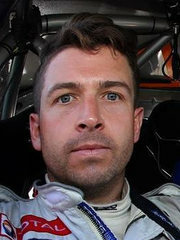 2019 18:51 6 (33 - Evans Elfyn / Martin Scott): I know Kris well, he wouldn't do that intentionally. I hope it gets resolved in the way it should. 29. 03. 2019 15:58 5 (33 - Evans Elfyn / Martin Scott): A much, much better run. Everything is working really well. 29. 03. 2019 15:55 4 (33 - Evans Elfyn / Martin Scott): A pretty good run. Neat and tidy but still fairly on it. 29. 03. 2019 11:02 3 (33 - Evans Elfyn / Martin Scott): A good clean run, nice and tidy. All okay." Has your pace surprised you? "You're going to make me sound cocky now, aren't you. 29. 03. 2019 08:58 1 (33 - Evans Elfyn / Martin Scott): It was good. Not perfect but good.